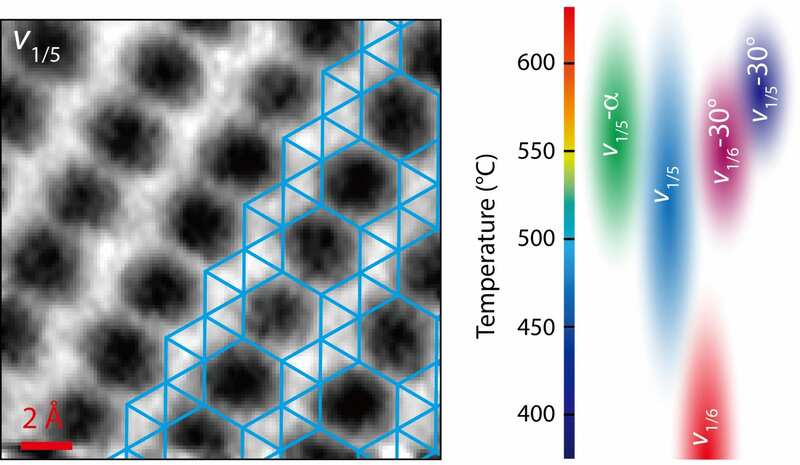 Researchers at Rice and Northwestern universities collaborated on a method to view the polymorphs of 2D borophene crystals, providing insights into the lattice configurations of the two-dimensional material. Boris Yakobson, a materials physicist at Rice’s Brown School of Engineering, and materials scientist Mark Hersam of Northwestern led a team that not only discovered how to see the nanoscale structures of borophene lattices but also built theoretical models that helped characterize the crystalline forms. Their results are published in Nature Communications. Borophene differs from graphene in producing the material and takes a different form – an array of hexagons for graphene and a grid of triangles for borophene. Borophene’s polymorphs can have more than one crystal structure, making it harder to characterize than graphene. The Office of Naval Research, the National Science Foundation, the Department of Energy’s Office of Science, and the Northwestern University International Institute for Nanotechnology supported the research. The University of Illinois Chicago’s College of Engineering looked into ways of keeping lithium-ion batteries from catching fire. Coating the cathode of a lithium-ion battery with graphene sheets turned out to be a useful method of keeping oxygen confined to the cathode, limiting its mixing with other flammable materials. The UIC researchers reported their findings in the Advanced Functional Materials journal. Microscale, nanoscale, and 2D semiconductor materials must have their quality measured in order to determine their suitability for electronic devices. The sensitivity of those measurements must be enhanced to identify the properties of such materials. Optoelectronics is the study and application of electronic devices that can source, detect and control light. Optoelectronic devices that detect light, known as photodetectors, use materials that generate electrical signals from light. Photodetectors are found in smartphone cameras, solar cells, and in the fiber-optic communication systems that make up our broadband networks. In an optoelectronic material, the amount of time that the electrons remain “photoexcited,” or capable of producing an electrical signal, is a reliable indicator of the potential quality of that material for photodetection applications. The current method used for measuring the carrier dynamics, or lifetimes, of photoexcited electrons is costly and complex and only measures large-scale material samples with limited accuracy. The University of Texas at Austin team decided to try using a different method for quantifying these lifetimes by placing small volumes of the materials in specially designed microwave resonator circuits. Samples are exposed to concentrated microwave fields while inside the resonator. When the sample is hit with light, the microwave circuit signal changes, and the change in the circuit can be read out on a standard oscilloscope. The decay of the microwave signal indicates the lifetimes of photoexcited charge carriers in small volumes of the material placed in the circuit. The research was funded by Air Force Research Laboratories and is part of an ongoing collaboration between Wasserman and his Mid-IR Photonics Group at UT, close collaborators at Eglin Air Force Base, and researchers from The Ohio State University, the University of Wisconsin, and Sandia National Laboratories.